Storefronts busted, businesses destroyed, accounts frozen. No one knows who’s behind the rash of vandalism in the virtual world, Marionette City, or how to protect themselves from becoming the next victim. Andersson Dexter has a new lease on life. Things are looking up for the newly independent investigator, when he picks up what seems like an ordinary case of vandalism. Soon Dex discovers that what appears to be a run of the mill case may be linked to a series of more sinister events which could jeopardize the very existence of the virtual world, Marionette City. 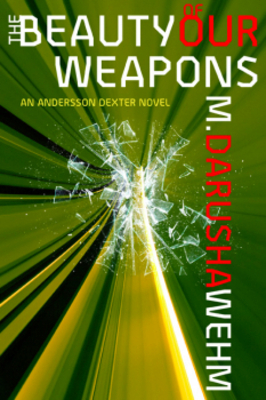 The Beauty of Our Weapons Audiobook audiobook;science fiction 164885090 6.99 darusha Fresh Download Available!